Morgan County administrative offices are located at 150 East Washington Street, Madison, GA 30650; phone: 706-342-0725. Photo: Morgan County Georgia Courthouse, Calvin Beale, photographer, 1982, U. S. Department of Agriculture, www.ers.usda.gov, accessed July, 2011. 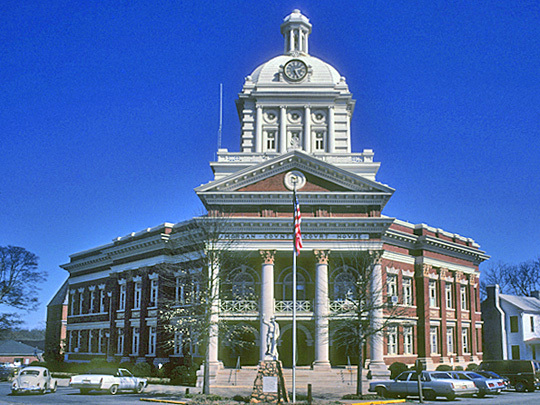 The Morgan County Courthouse is located at 384 Hancock Street, Madison, GA 30650; phone: 706-342-3605. Morgan County was created in 1807 from Baldwin County.